Ronnie is a Registered Psychotherapist (Qualifying) with the College of Registered Psychotherapists of Ontario. 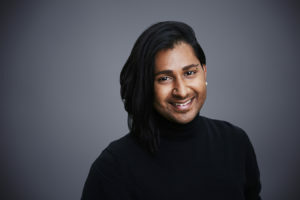 Ronnie studied and trained at Western University (Master of Arts in Counselling Psychology) where their research focused on providing safe, ethical, and effective care to trans clients in therapy. Ronnie’s approach is grounded in intersectional anti-oppression and critical psychology, with the general aim of helping clients feel empowered, psychologically flexible, and mindfully present. They provide therapy to youth and adults, in short, or long-term arrangements. They use a blend of approaches: acceptance and commitment therapy (ACT), mindfulness-based therapy, expressive arts, narrative therapy, trauma-informed care, existential and humanistic therapies, and components of cognitive behavioural therapy (CBT) and dialectical behaviour therapy (DBT). Ronnie strives to provide warm, gentle, empathetic, curious care that is engaging and transformative for their clients.